If your preferred carrier in the US happens to be Sprint, earlier this week the carrier added a new Android smartphone to their 4G handset portfolio in the form of the ZTE Flash. We first heard about the ZTE Flash for Sprint back at the end of July, and now the carrier has officially released the device. 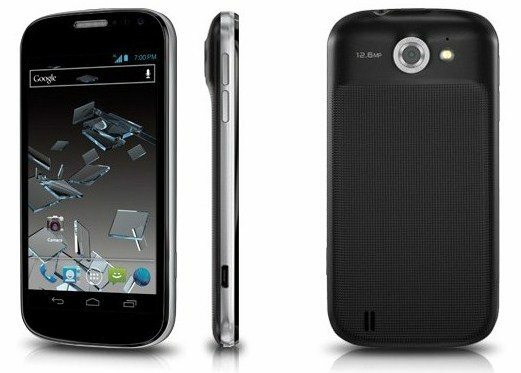 The ZTE Flash is an Android Ice Cream Sandwich smartphone that carries a fairly impressive specs sheet for a mid-range handset reports The Droid Guy, and includes a 4.5-inch IPS HD touch screen along with a Snapdragon S4 1.5GHz dual core processor. The Sprint ZTE Flash also sports a 12.6 megapixel rear facing auto-focus camera with LED flash, 1080p video, a 1 megapixel front facing camera, 1GB of RAM and 8GB internal memory, 802.11b/g/n WiFi, Bluetooth 4.0, a 3.5mm jack, NFC, 4G connectivity, and microSD expansion up to 32GB. The Android 4.0 handset measures 134 x 66 x 10mm with a weight of 147 grams and sports a 1780mAh battery that is said to deliver up to 8-hours of talk time along with up to 19 days standby time. Unfortunately though neither Sprint or ZTE have stated whether the ZTE Flash will ever see an update to Android Jelly Bean at some point, so there is that to consider if you think about purchasing the device. So, for those Android faithful that might wish to own the ZTE Flash, the smartphone can be ordered from Sprint online, and commands a price tag of $129 after a mail in rebate, and when signing up for the usual two-year agreement. And there you have it, will any of our US readers be visiting Sprint to snap up the ZTE Flash?